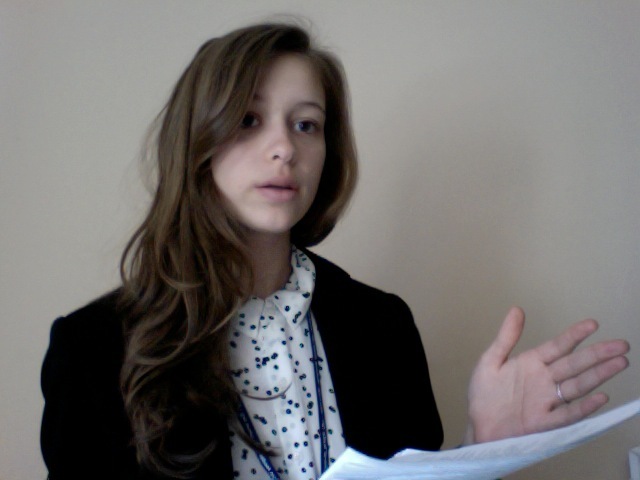 Delegate Reflection: Toward a Future in Philanthropy and Activism – Milieu de la Moda, Inc.
Hannah Liot ’15 representing Australia in a simulation of the UN Security Council at the 2014 National Model UN in New York. My future in philanthropy and activism requires confidence to advocate for a cause, protest, rally, compile research, write and recruit supporters. Model United Nations has inspired confidence in me to handle these challenges by teaching me a wide range of qualities. It has taught me wisdom, which has made me open and reflective of my thoughts and work. Through my experiences — such as at this year’s National Model UN conference in New York — I have gained knowledge, which has expanded my understanding of the world, of international relations and of efficient group dynamics.